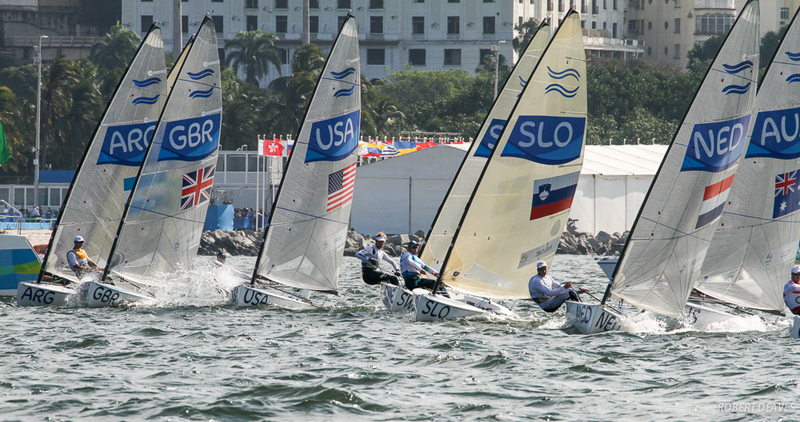 Giles Scott maintains Great Britain’s dominance in the Finn class with a fifth successive gold medal! Scott won his first gold medal with a race to spare, racking up a massive 32pt lead with a second place in the 10 knot medal race on the Sugarloaf course, off Rio’s Copacabana beach. Scott followed in the wake of Sir Ben Ainslie and Iain Percy to take Great Britain’s tally to five successive Finn gold medals. 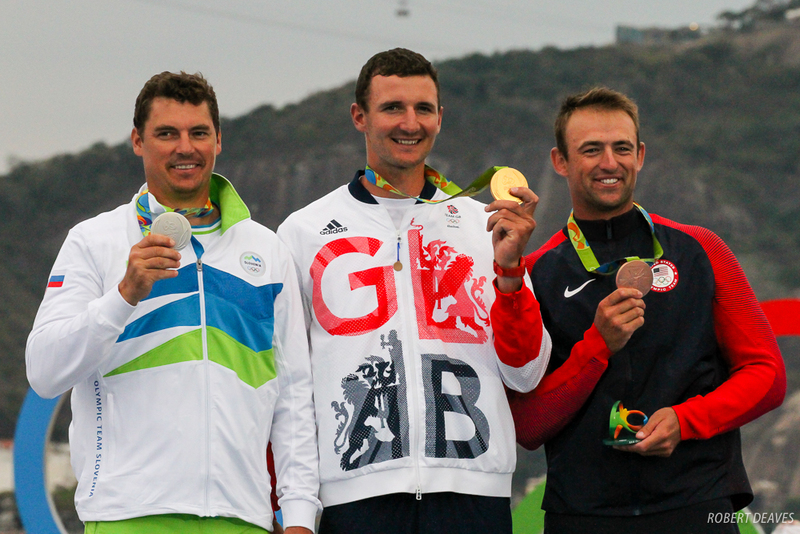 However, despite Giles’s three year dominance in international regattas, the Olympic title was no walk in the park. The first race held close under the huge Sugarloaf mountain produced dire conditions with massive holes and unpredictable shifts, catching out many of the top contenders and saw Scott score an uncharacteristic 17th place. Unfazed, Giles bounced back in the second race of the day – still in tricky conditions to score a third and never looked back. Previous London 2012 medalists Jonathan Lobert (FRA) and Jonas Hogh-Christensen (DEN) failed to match their previous success, finishing outside the medal race and proving just how tricky the venue was to sail. Wednesday’s epic race in 22 knots out in the bay proved Giles’s mastery of the conditions, leading at every mark to win by an impressive 50 seconds. 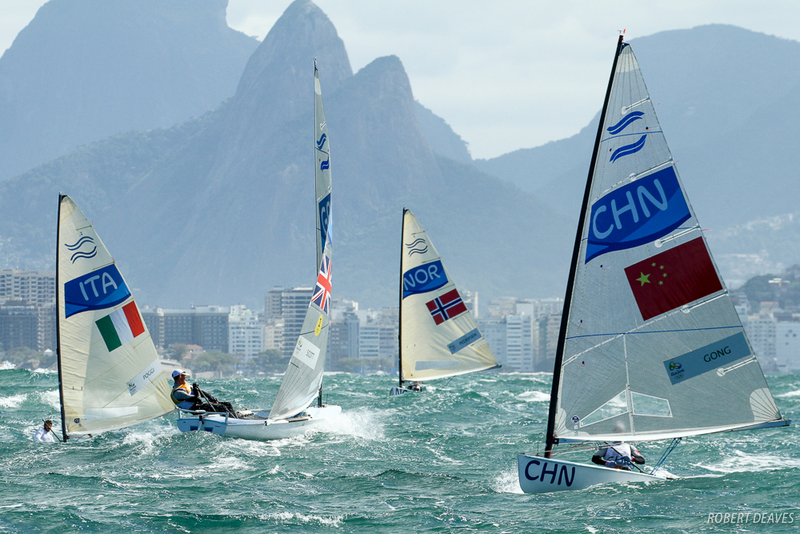 The medal race proved slightly better conditions on the Sugar Loaf with the windward mark moved out from beneath the mountain. Already assured of the title, Scott was in no mood to take a victory cruise, but fought hard for the lead, finishing second to Caleb Paine (USA) to improve his final score to 36pts – 32 points clear of 40 yr old Vasilij Zbogar (SLO) with the silver medal and Caleb Paine who scored 76pts to claim the bronze by virtue of his medal race win. The BFA sends our heartiest congratulations to Giles and his coach Matt Howard for a thoroughly professional campaign and perfect race execution under all the pressure of the Olympic stage. We just hope his boss at Land Rover BAR allows him some time off to defend his Olympic title at Tokyo 2020!